If you are an sports fan you can probably name at least a few recent NBA MVPs, if you are an Association fan most or all of them. Rookie of the Year (ROTY)? Even the biggest fan probably can't name a majority. Maybe that was part of his thinking when Bucks rookie guard Michael Brogdon asked his team to cancel their plans to spend money on promoting him for the award and instead donate the money to charity. At this time of year when voting is coming up, it is common for teams to campaign for their players for awards they are in contention for: MVP, ROTY, etc. Besides just sending out information on the player and why they deserve to win, there is often a gimmick involved. 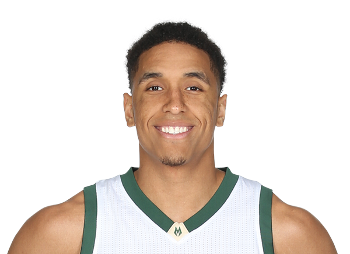 In Brogdon's case apparently the Bucks had planned to print fake $1 bills (Bucks) with Brogdon's face on them since he is known as 'the president' among teammates. But Brogdon asked the team to skip the gimmick and use the money they would have spent on it and male a charitable donation with it. So the Bucks instead simply sent out a message with his stats for the year, and passing on his desire. If he would win I am sure it would mean something to him, for a bit. But players want to win games, get to the playoffs and win there, trying for a championship. Of course awards like MVP are a bigger deal, but really in the end being the best rookie? Is it worth the team spending money? Sure they have lots of it and I'm sure the campaign wasn't going to have any impact on the bottom line of the team. But that money could mean a lot to an organization especially if they pick a small, local one where it could make a difference. Way to buck the trend Brogdon, looking forward to the impact you will not only make on the team but apparently on our community as well.